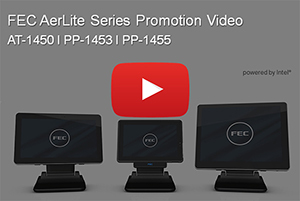 FEC proudly introduce brand new AerLite Series including AerTab AT-1450, AerPPC Lite PP-1453, and PP-1455. AT-1450 is FEC first compact smart tablet to strengthen your business with mobility. PP-1453 (13inch) and PP-1455 (15 inch) are ideal for main counter applications. Sharing same platform and design, AerLite series is simply your best choice! FEC AerLite Series is perfect for retail & hospitality industry. Check the video and learn how to elevate your business with all important information of applications and specs! 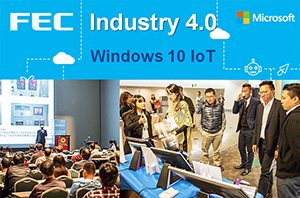 As a Microsoft Official Windows Embedded Partner, FEC was invited to exhibit FEC POS solutions at Microsoft Seminar on November 10, 2016 in Taipei. NRF Retail's BIG Show 2017 is the industry's flagship event and the most important show to begin year 2017. To elevate your retail business, visit FEC USA booth #1227! FEC expand the market to café in Korea by installing AerPPC PP-9635 & AerPOS AP-3615 into top café shops such as Innisfree Green Café, TOUS les JOURS, A TWOSOME PLACE.